The fitness and health industry is bloated with ‘get six-pack-abs quick’ gimmickry and fitness ‘secrets’ that are too good to be true. For a prime example, look no further than the covers of Men’s Health magazine: they’re plastered with silly, no-exercise-required solutions or ‘How to get fit from your TV couch’ methods, capable of raising the eyebrows of even the most unwitting and clueless layman on fitness knowledge. Amidst all the gimmickry and false promises however, is an app that boasts a unique and original twist to the fitness industry. Zombies, Run! is an audio adventure fitness game that weaves one of the most popular culture phenomenons of today — zombies — into an activity that everyone wishes they were doing more of. 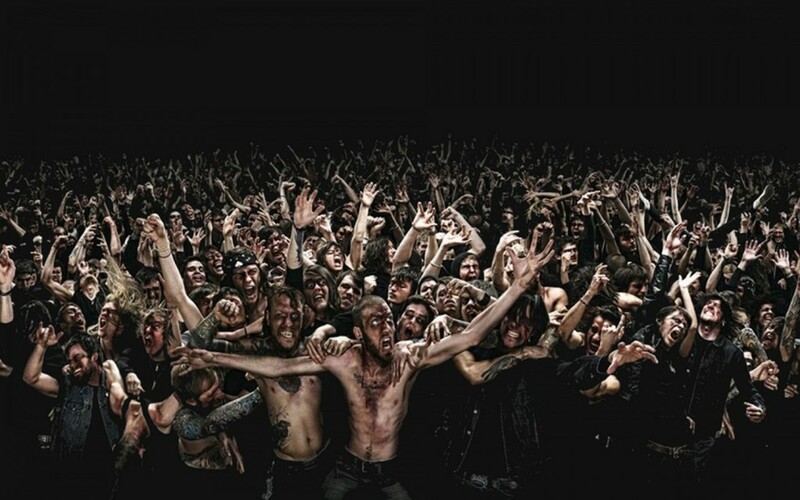 The concept is simple: zombies are hungry and your brains are on their dining menu. Run for your bloody life. As soon as you slow down, the gnawing moans of zombies may begin playing to ‘frighten’ and spur you on into picking up the pace. Even when you keep up a moderate speed, the game can push you to run a little faster with the same effects, an option that you can toggle on and off (thankfully). I was a little bit thrown off by this mechanic on my first run. Just to give you a little insight into the kind of runner that I am, I did not sign up for the recent Standard Chartered marathon and I don’t foresee myself ever doing so. Running long distances is in contrast with my stamina (or lack thereof), and jogging at a sluggish pace is more in agreement with me. 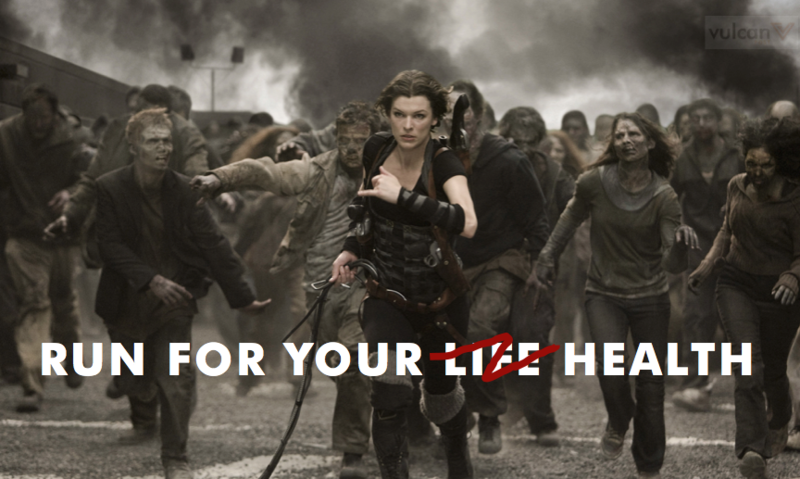 Thankfully, Zombies, Run! caters to both cardio nuts and cardio bums like myself. Whether you want to run or brisk walk, the app suits your physical needs. 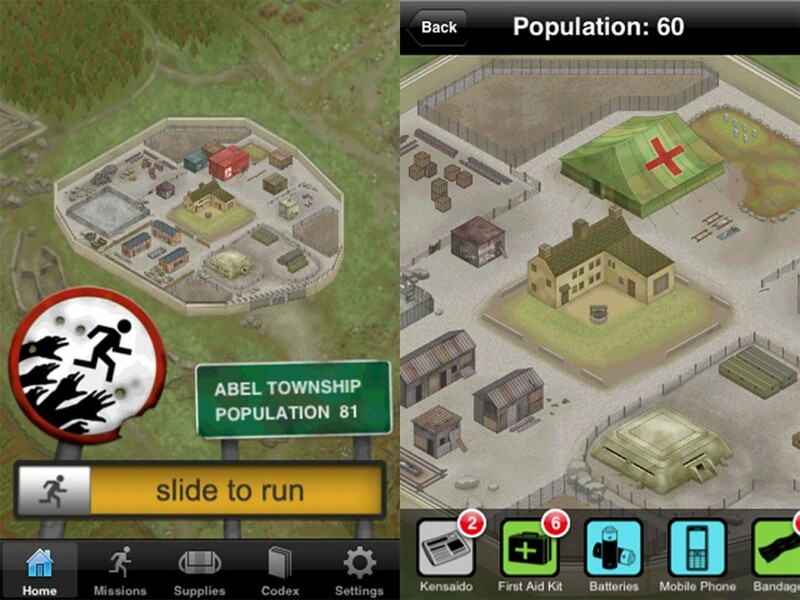 But the app is far from being a generic zombie simulation, and takes it one step further. Built into the app is an actual storyline with a series of missions that tell the story of you trapped in a zombie apocalypse and having to run for cover. As you run with your earphones on, you listen to urgent radio intermissions, live firing and helicopter sound effects coupled with professional voice acting that will guide you to collect supplies like medicine, first aid kits and bandages. In essence, you’re not just running, but you’re running through a story. The second part of the game involves you spending and assigning your collected resources to upgrade and expand your base with better technology and weapons. Over time, the population of your town grows, akin to most popular freemium games like Clash of Clans and Fallout Shelter. The game gives you the option of playing your own music in between the radio calls. To fully immerse yourself into the zombie apocalypse simulation that we crave so badly from watching The Walking Dead, I strongly suggest listening to ‘end of the world’ music like the Inception soundtrack for maximum effect. Of course, you’re free to play whatever you desire, but I’m willing to wager that Katy Perry’s ‘Fireworks’ or Celine Dion’s ‘My Heart Will Go On’ is not very likely to be fitting for the occasion, and will probably throw your experience off a bit. Zombies, Run! is one of those ingenious, simple ideas that gets implemented and make people go “Why the hell didn’t I think of this first?” It’s free on the App Store and Google Play, though certain features are limited to premium users. On a closing note, I’ve played the game three times and I’m proud to say that I haven’t been eaten by the zombies…yet.